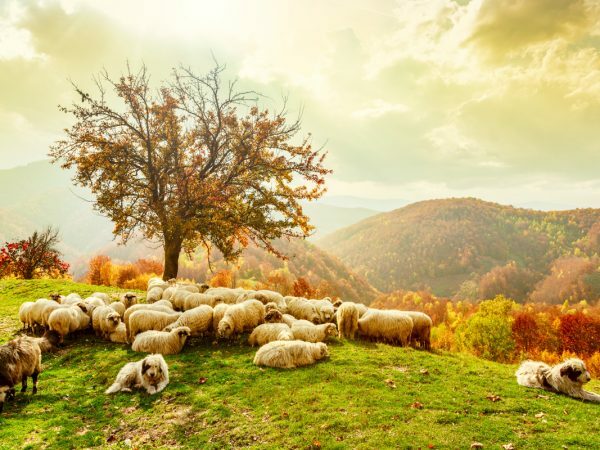 Therefore, here are some of the most interesting Romanian monuments and their story, so make sure to check them out whenever you visit Romania. 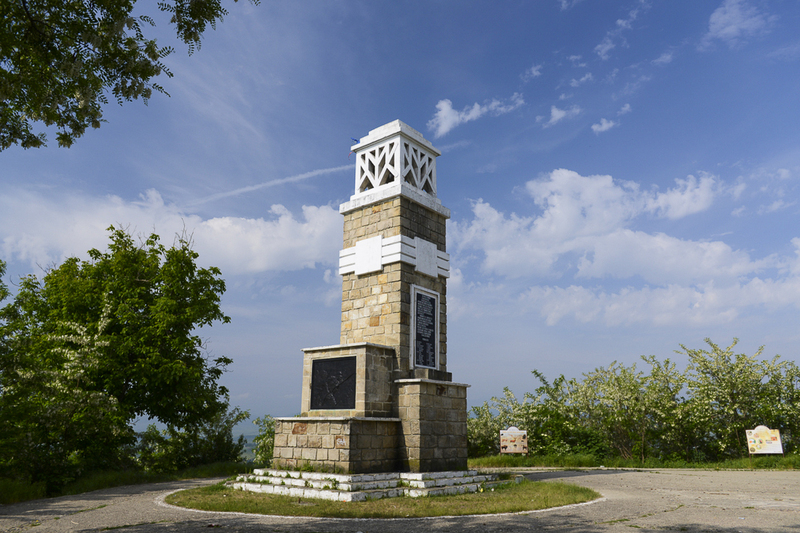 The Mountain Hunters Monument can be found in the Targu Neamt city, on the Plesului Hill. Due to its closeness at an altitude of 500 m above the city, tourists passing through the area can easily see it. The mountain hunters were a battalion of war who attended the tragic events during WWI. In other words, this monument is dedicated to those who fell for their country during the First World War. 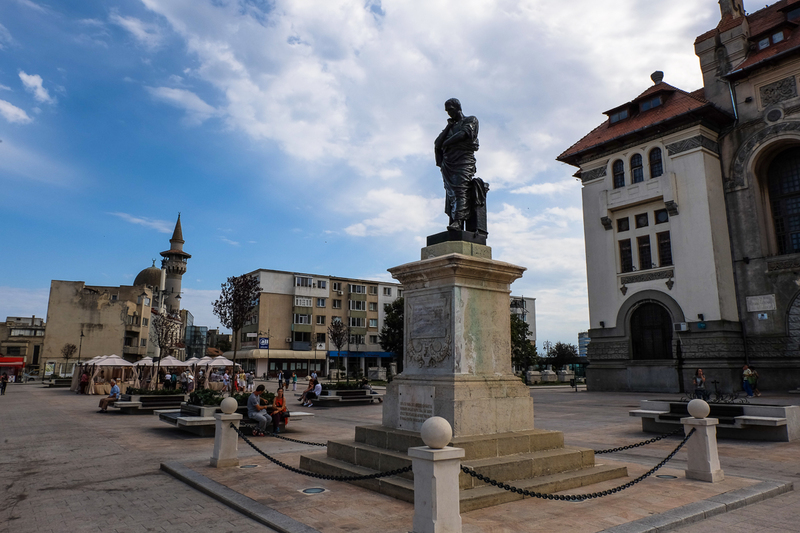 The construction of the monument was an initiative of the “Hero Worship Society” with the support of city authorities, led by Ioan Balan. The monument is dating from June 29, 1939, when it was inaugurated, an event attended by King Carol II. It was built by the architect Theodor Burca, being one of the greatest monuments of the mausoleum type in the region. Marble tiles that can be found on the foundation mark the date July 27, 1917, the date the mountain troops went to battle. On another plate, there are inscribed the names of 172 fallen heroes for their country, and on the third board the text written on the occasion of unveiling the monument can be seen. The winged woman evidenced in relief represents Romania. Located on the west cliff, the complex was built in three terraces and links the city to the ancient port. 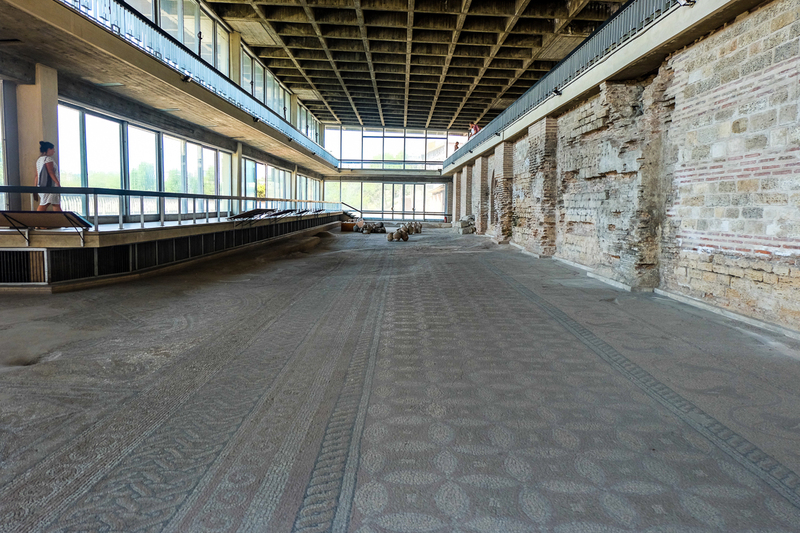 The monumental edifice – with more than 2,000 square meters of mosaic – was erected in the 4th century AD, probably under the Emperor Constantine the Great, being repaired in various stages until the end of the 6th century, when it ceases to exist, falling into ruin with the demise of the city’s commercial activities. From the initial area of 2,000 square meters, there are 700 square meters still visible – enough to infer that we face a major port construction. The upper terrace was occupied by a hall of impressive dimensions (100 m long and 20 m wide) probably covered in antiques, with a huge canopy supported by columns. From this room, today it’s preserved a part of the long wall and one of the side walls. The first one shows an ordinance of open arches facing the sea, being entirely covered with white marble and polychrome plywood. The pillars were arches decorated with capitals ornate with acanthus leaves and zoomorphic or anthropomorphic figures in the center. 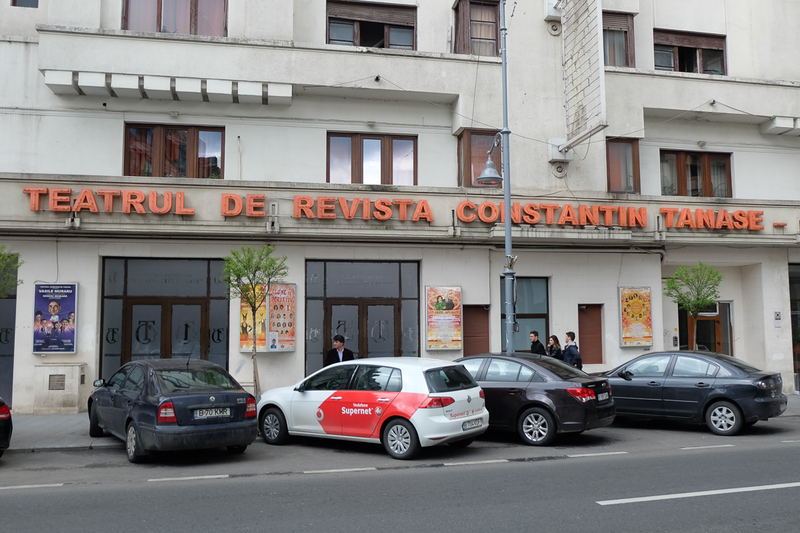 Modern Romanian theater is related to the name and work of Constantin Tanase and the “Carabus” Company, founded on July 2, 1919. After “Carabus” Company (1919-1939) and the disappearance of the great popular actor Constantin Tanase (1945), the theater functioned temporary under different names (Ensemble Estrada, Estrada State Theatre, Satirical Theatre – Musical “C. Tanase”) until 1990 when it received the most appropriate title, as it functions today, the Constantin Tanase Theater. 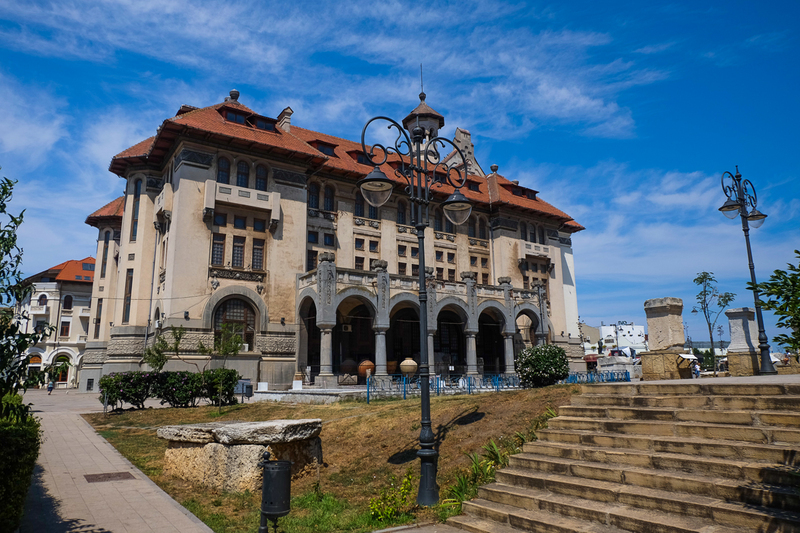 On the stage of this theater have stood and evolved the most important Romanian personalities of the genre: authors, composers, actors, singers, dancers, conductors, directors, artists, choreographers, set designers, who, taking over the tradition, renewed permanently the Romanian theatre. The Constantin Tanase Theater has made numerous tours in the country and abroad, sometimes imposing on the largest genre scenes of the world: Olympia – Paris, Friedrichschtadt Palast – Berlin, Paladium – London, as well as scenes from Israel, Hungary, United States of America, Canada, Australia, Moscow, Warsaw, Athens, Istanbul etc. 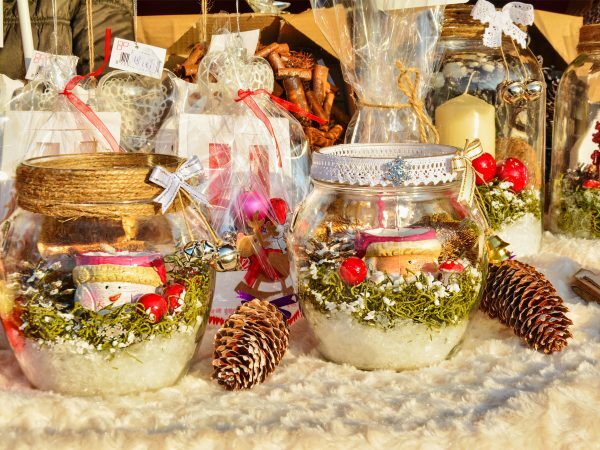 The Arch of Triumph is located in the northern side of Bucharest, in one of the most traveled intersections of the capital, being a key point between Kiseleff, Constantin Prezan Boulevard, Alexandru Constantinescu and Alexandru Averescu. According to historical data, the Arch of Triumph in Bucharest was built after the drawings of Petre Antonescu, following the French model, built by order of Napoleon Bonaparte. Not many know the significance of this monument that is located near downtown, just one detour point for some. 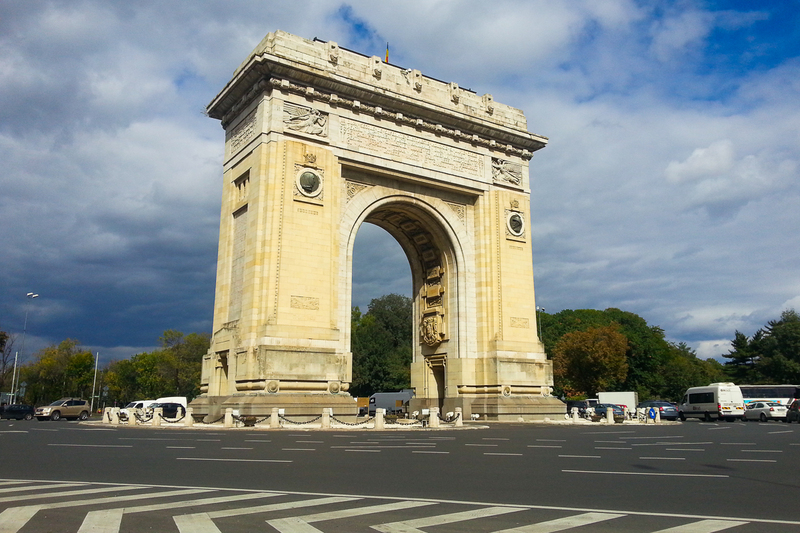 However, the Arch of Triumph symbolizes the victories of Romanians during WWI. Build during the period of 1921-1922, by the order of King Ferdinand, The Arch of Triumph could be imposed in those days as the most significant historical monument in the capital. However, time was short enough that the work could be finished, so its exterior finishes were made out of building plaster, which caused a loss of the bas-reliefs on the outer arch, being by 1930 an “embarrassment” for leaders of those times, and Bucharest interwar architecture, a small imitation of the legendary arch in Paris. So, as in 1932, public opinion agreed with the reconstruction of this monument and not its demolition, as it was proposed before that. The reconstruction took place in 1936, during which the entire exterior architecture had been changed to another more solid, the rebuilding being considered the official year of the completion of the construction works. 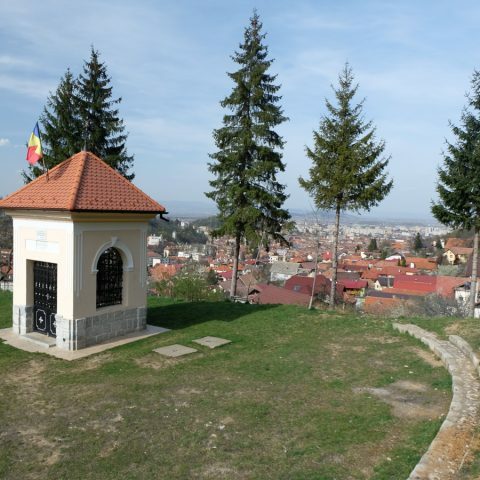 Known as Musicoiului Cross, this monument is situated at the exit of Turkeys Street on a meadow at the foot of Gorita. The cross was made out of stone in 1671 by descendants of the Dean of Braila, in honor of Pious Paraschiva and it was restored in 1902 by Nicolaie Stinghe. 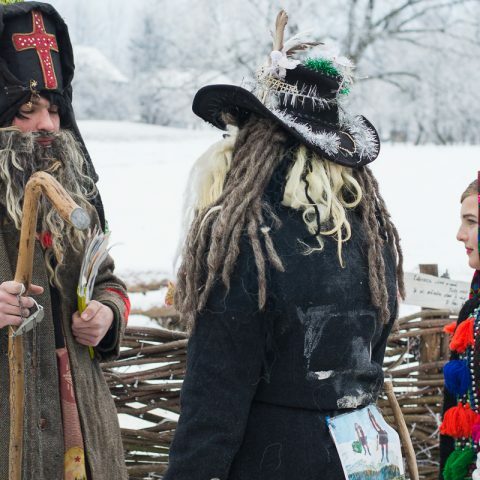 Why is it called the Musicoiului Cross? Historians have not yet reached a consensus. 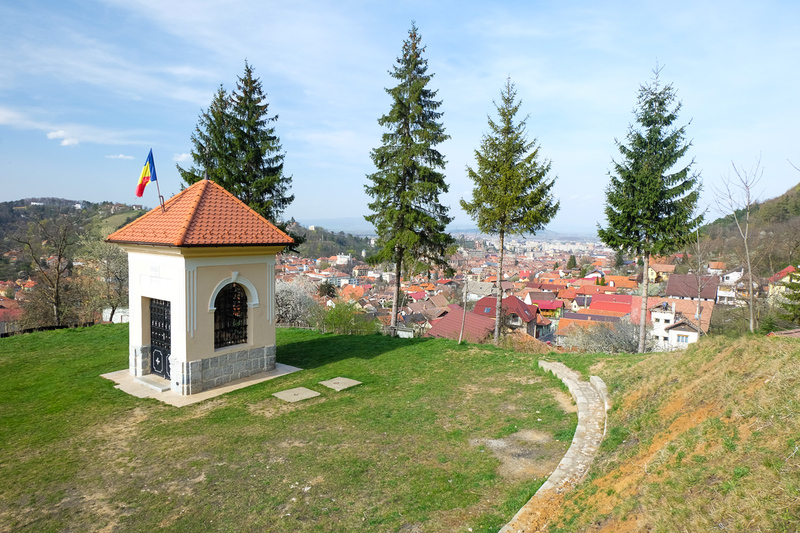 Some legends say that at this cross a traitor named Musica was killed, because he disclosed to the Brasov city magistrate the plan of the Romanians in Schei to make their own separated “Republic” in 1736, under the leadership of Captain Ilie Birt. As you can see, many Romanian monuments have fascinating stories behind them. 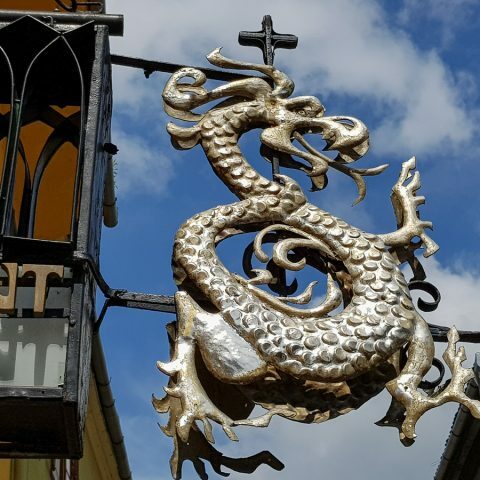 Next time you travel to Romania, take into consideration that each statue or each monument was created for a reason and it’s one of the best ways to find out more about Romanian history.